Dr. Claudia de Llano D.D.S. Dr. Claudia de Llano, D.D.S. is a general dentist with additional training in dental implants, periodontics (gum disease), endodontics (root canals) and cosmetic dentistry. 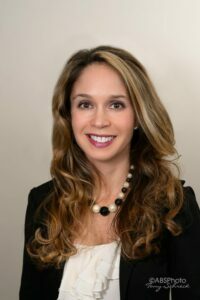 Dr. de Llano joined Shamblott Family Dentistry in 2009, bringing a wealth of experience, knowledge and insight to her patients. Dr. de Llano earned her D.D.S. degree at the University of Minnesota, and has completed post-graduate courses in dental implants, root canals (endodontics), gum disease (periodontics), local anesthetics, medical emergencies and cosmetic dentistry. She is a member of the American Dental Association, the St. Paul District Dental Society, the American Association of Women Dentists, the Twin Cities Implant Study Club, and the Bloomington Dental Study Club. Dr. de Llano was born in Mexico City, Mexico, and lived in the Fargo, North Dakota area for many years prior to moving to the Twin Cities area. She enjoys travel, gourmet cooking and running. To make an appointment with Dr. de Llano, please call Shamblott Family Dentistry at 952-935-5599 today. Remember, new patients receive their new patient examination and necessary X-rays (bitewing and panoramic) free!